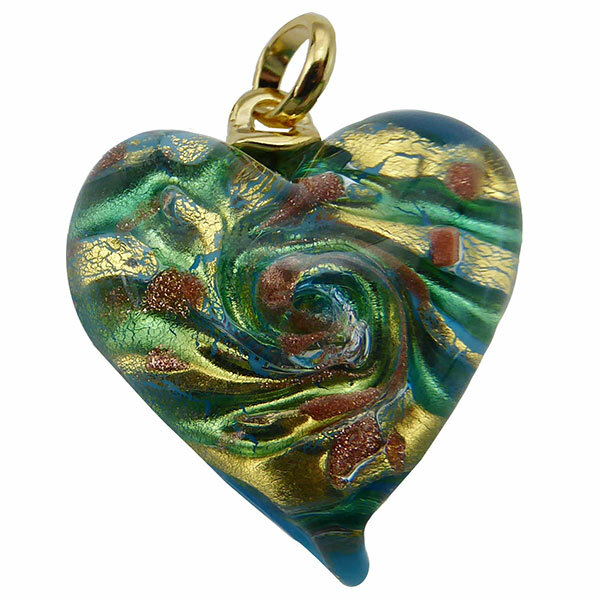 Handmade in Venice, these lampwork Murano Glass heart pendants feature 24kt gold foil and aventurina swirls with shades of aqua. A gold tone bail is glued on the flat back. Make a necklace by adding your favorite chain or tie with a ribbon. The quality is excellent. Each one is slightly different as they are handmade. The size is approximately 28mm tall without the ball and 34 with the bail. 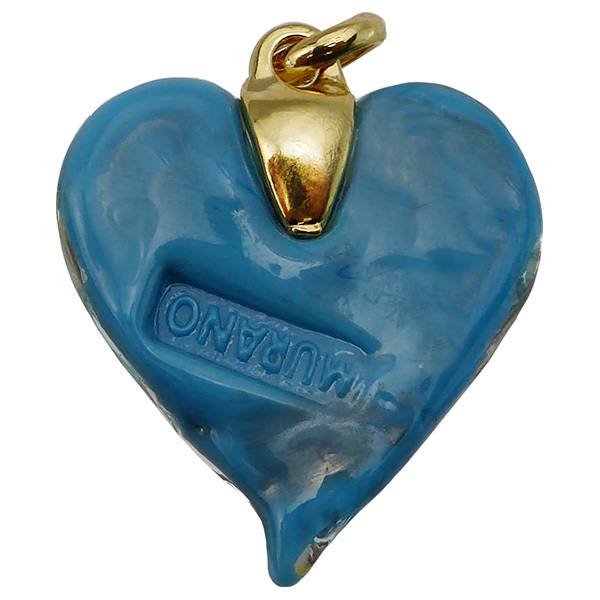 Stamped "Murano" on the back.